Bergara Präzisionsbüchse zum unschlagbaren Preis-/Leistungsverhältnis. 24 Zoll Matchlauf mit Präzision unter 1 MOA. Knochentrockener Matchabzug. Ergonomischer, verstellbarer Aluschaft, free float. Mit Remington Anbauteilen kompatibel. 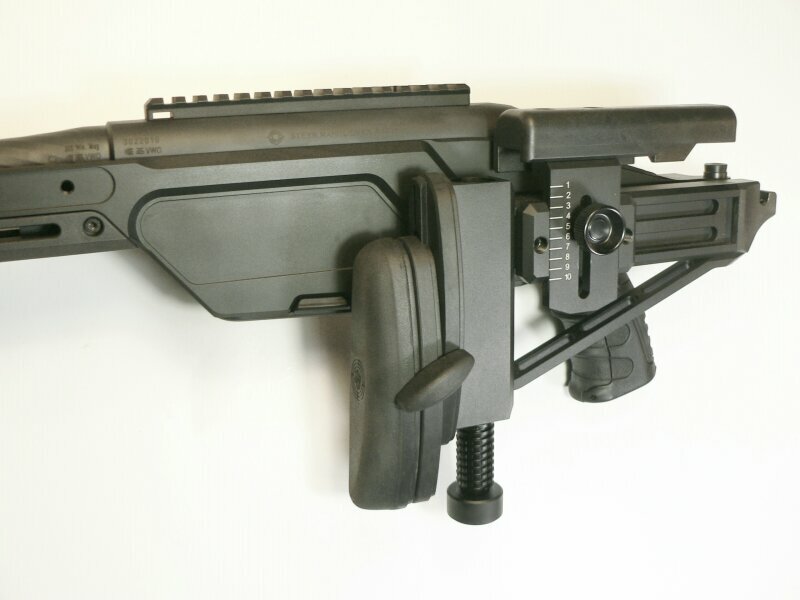 Kaliber .308 Win, herausnehmbares Magazin mit 5 Patronen Magazinkapazität. 10 schüssige AICS magazine sind kompatibel. Dieses Gewehr hat Siegerpotential - und das für vergleichsweise wenig Geld ! 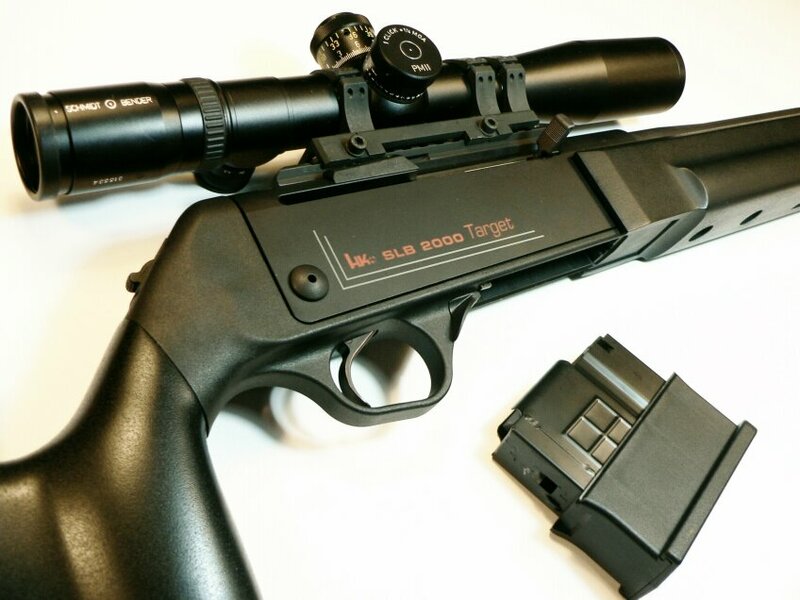 Heckler & Koch SLB 2000 Target, .308 Win. 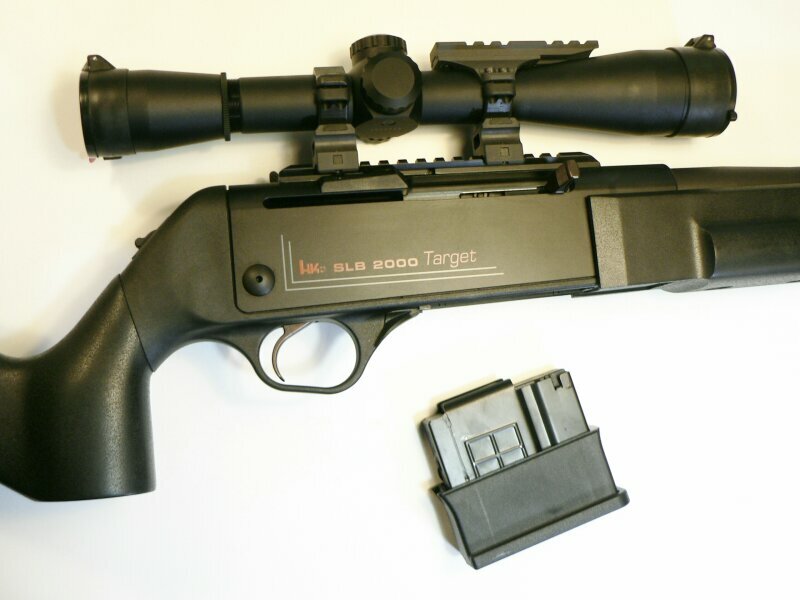 The Heckler & Koch SLB 2000 Target is a gas operated, semiautomatic rifle for long range target shooting. 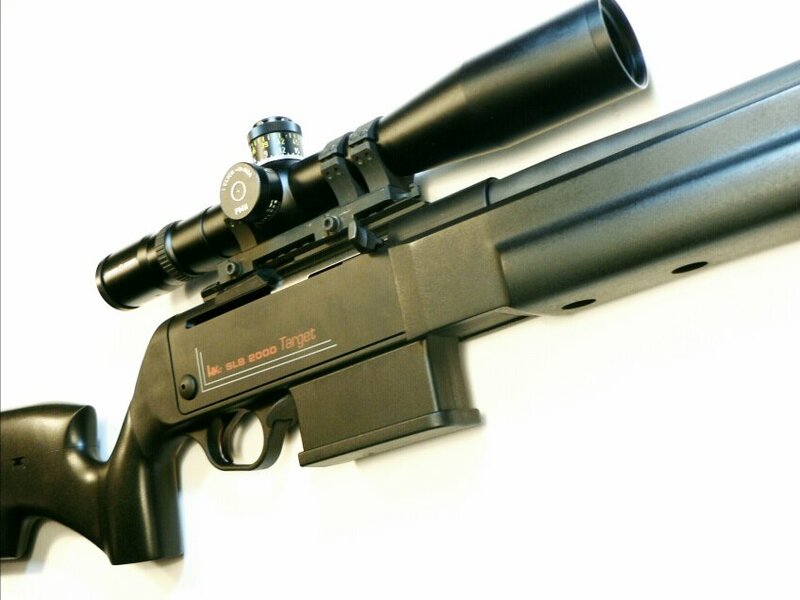 Reliable, self-cleaning gas system with special design of the gas piston for outstanding shooting performance. The strong bolt head with 2x3 locking lugs ensures reliable function and safe locking of the Heckler & Koch SLB 2000 Target. Moreover, it contributes to its high level of accuracy. The safety on the pistol grip is easy to operate for right and left hand shooters. It locks both trigger and hammer. Cold hammer forged precision bull barrel. Finally equipped with a strong 3 chamber compensator to ensure fast and safe shooting series. Picatinny Scope mount rail. One five and one 10 round magazine sits flush with system case. 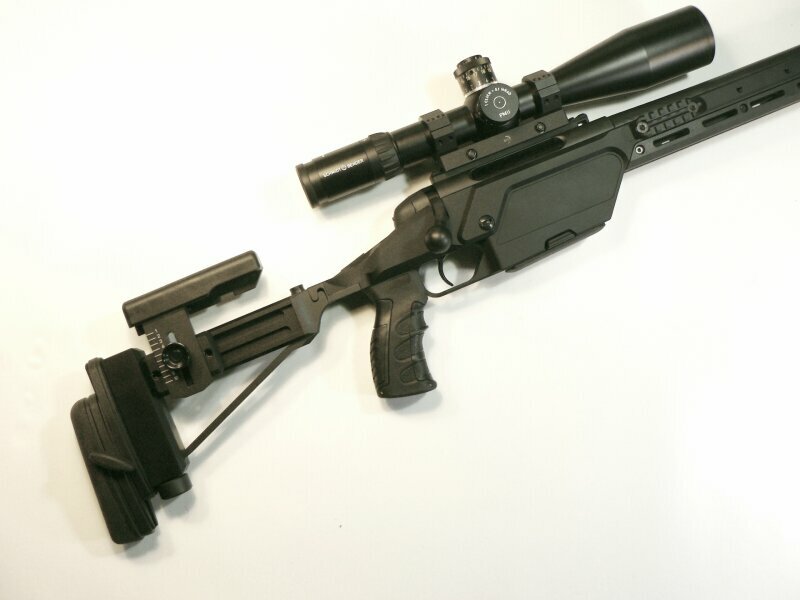 The magazine release lever, as with all the operating parts on the SLB2000 Target is ergonomically positioned. Sited just in front of the trigger guard this allows quick, ambidextrous magazine change. Well protected against accidental release of the magazine caused by hitting obstacles against or getting snagged on something. Matte, black tactical surface, polymer stock with overall fine microcheckering. Approved for civilian sale by the Austrian Ministry of Interior in March 2010 for Austria Arms. 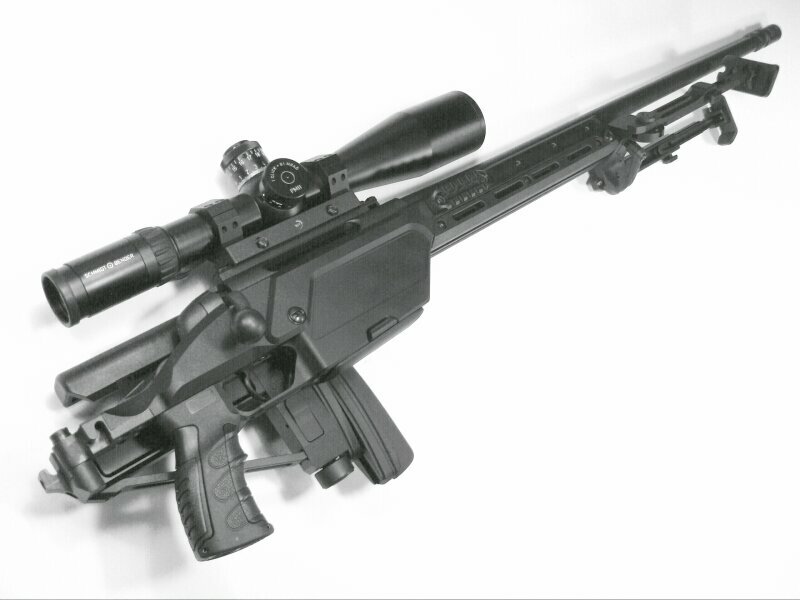 Professional shooters around the world recognize the Sako TRG as one of the most accurate and reliable rifles ever produced. 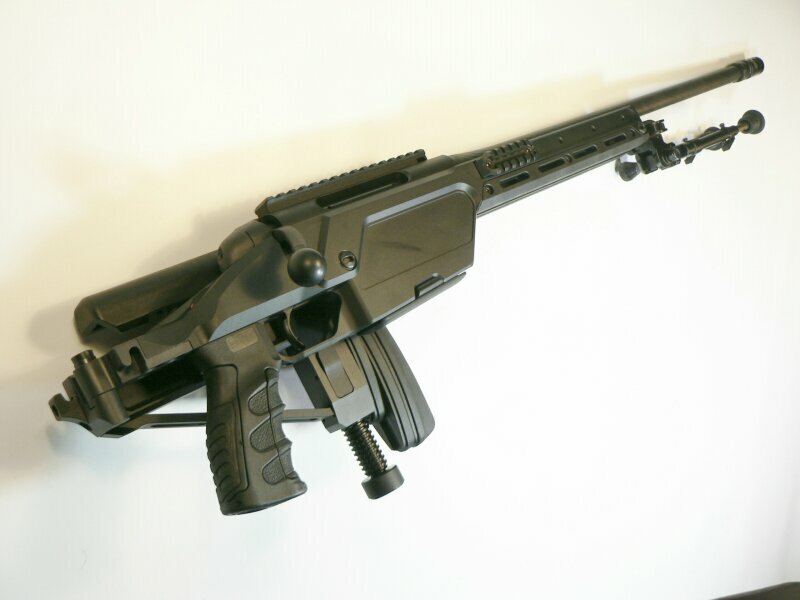 The TRG-42 in 300 Win Mag and .338 Lapua Mag and TRG-22 in calibre .308 Win. are true long-range precision tools for special forces or competition. 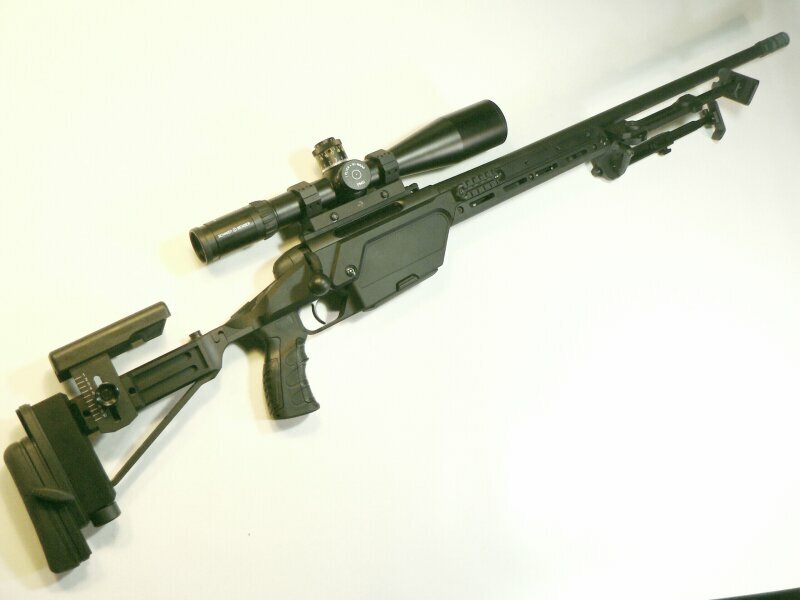 They can be equipped with various accessories to fulfill the demands of tactical snipers. 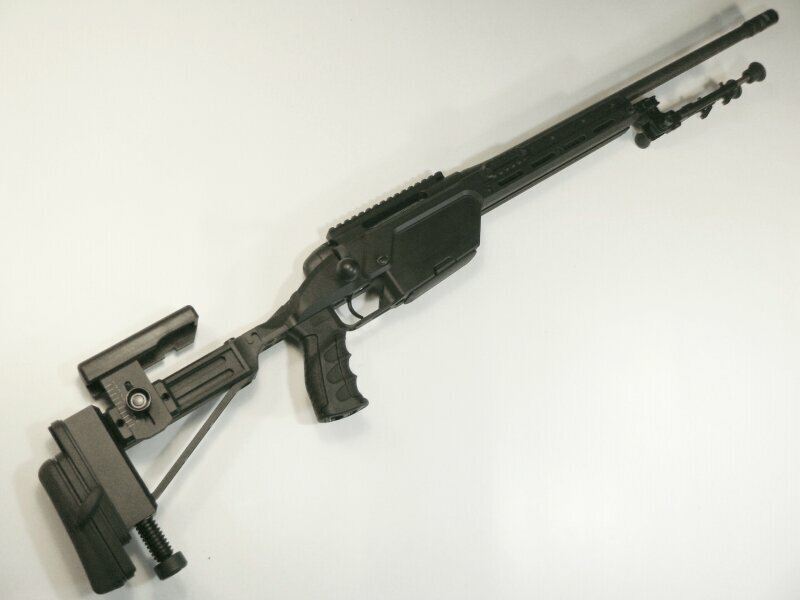 Configurations include black and green stock with blued barrel and action. 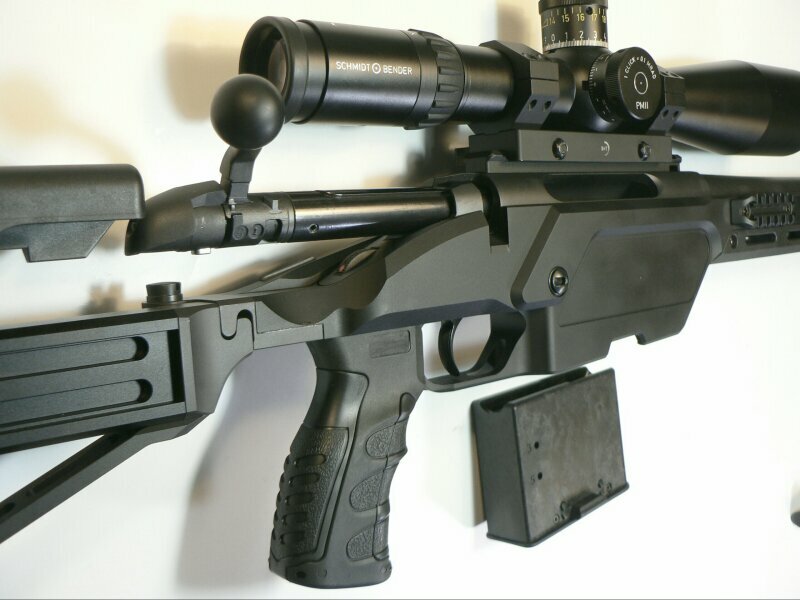 Also available in all-black stealth configuration featuring black stock and bolt with phosphatized barrel and action. 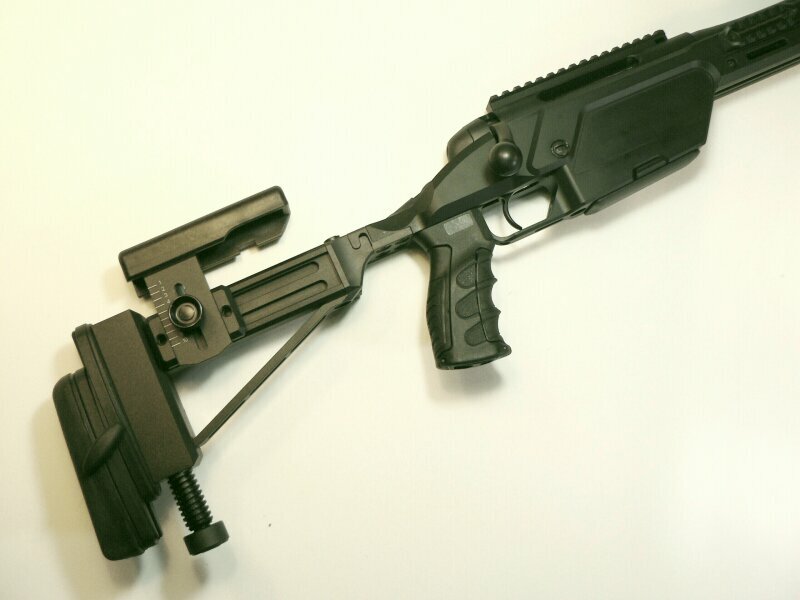 Fully adjustable high-tech aluminium reinforced composite stock. The solid vault-like action is cold hammer-forged from special steel alloy. 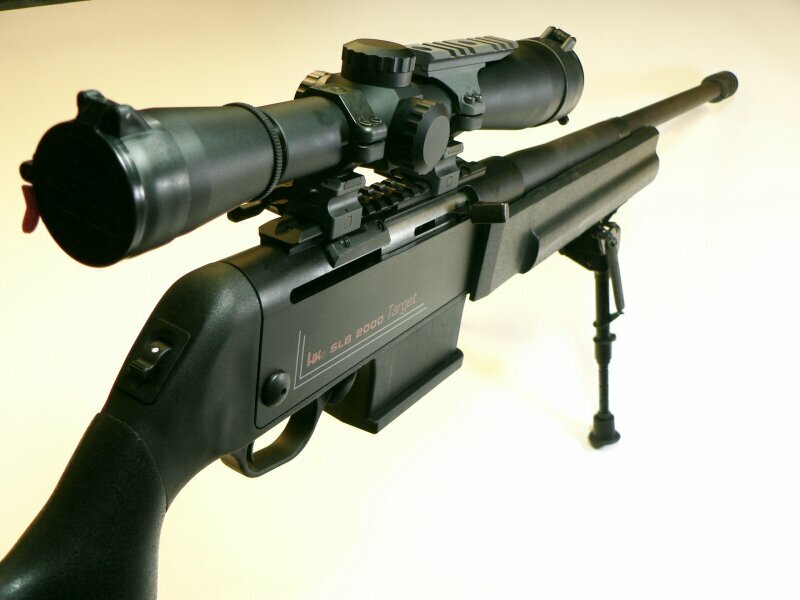 Integral 17 mm axial scope mounting rails with integral recoil stop-slots on the top of the receiver. The sturdy bolt with three locking lugs feeds rounds unfailingly from the centerline of a detachable staggered 2-row magazine. Reliable feed with various ammunition types. Bolt lift is only 60° for fast bolt throw. NO Export from Austria possible. Optics and other options upon request. Factory new in original transport case. 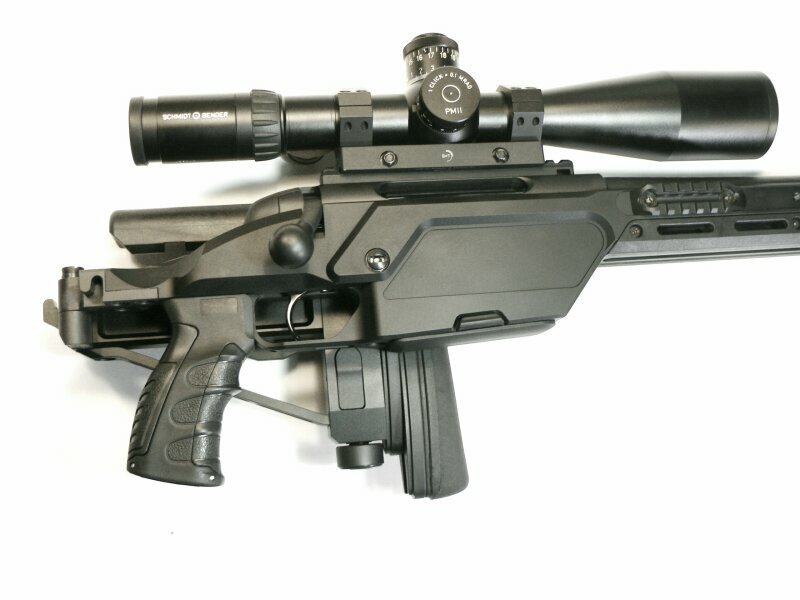 The new Steyr SSG 08 is the latest generation precision rifle to fulfill the needs of professional shooters around the world. The result of 100% Steyr innovation provides top performance that transcends the highest demands for accuracy and reliability. Super Target grade barrels, specially made for Steyr SSG08 rifles (Cr-Mo type)are cold hammer forged. The sturdy bolt with strong locking lugs feeds the ammo unfailingly from the centerline of a detachable, 6 rounds double staggered magazine. 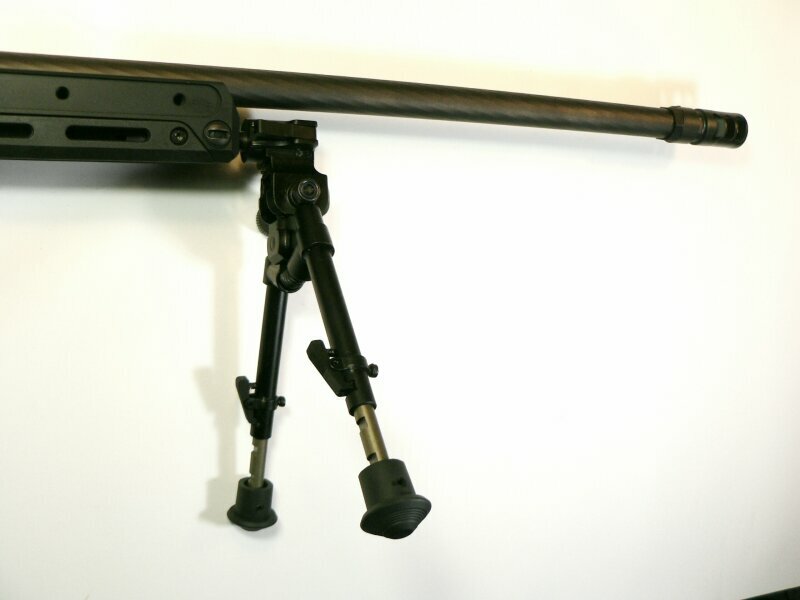 The professional, silent and fully adjustable folding stock has been developed in close cooperation with professional users. 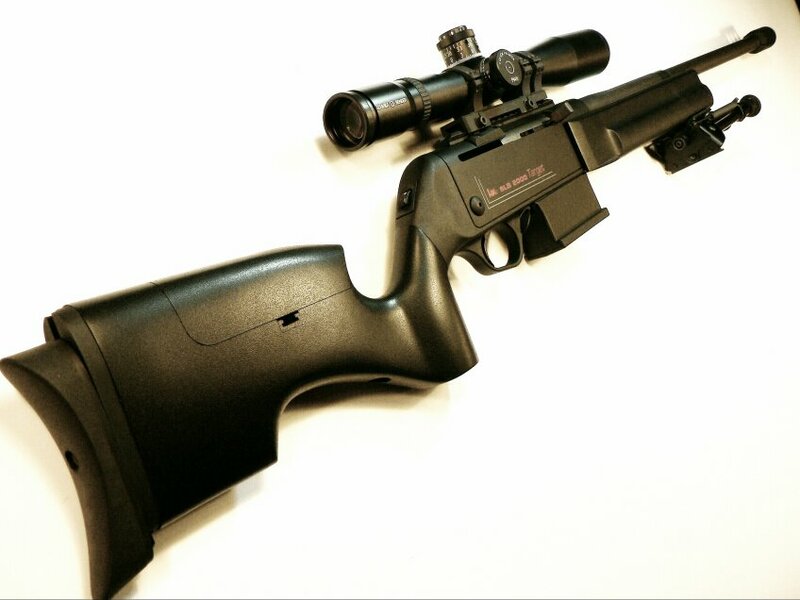 The Steyr SSG 08 has an integral Picatinny rail for quick and perfect scope mounting. 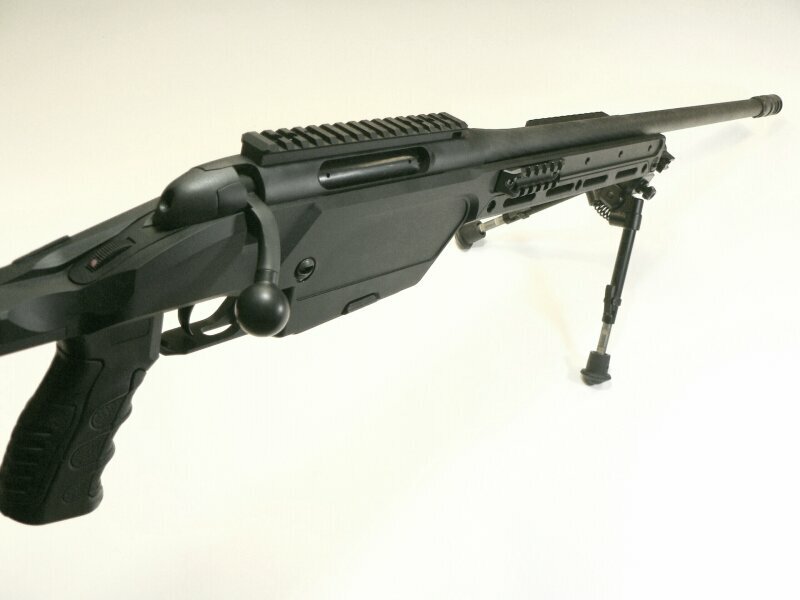 All Steyr SSG 08 receivers are drilled and tappered for tactical Picatinny rails compatible with USA MIL-Std 1913.
magazine capacity: 6 rounds cal. 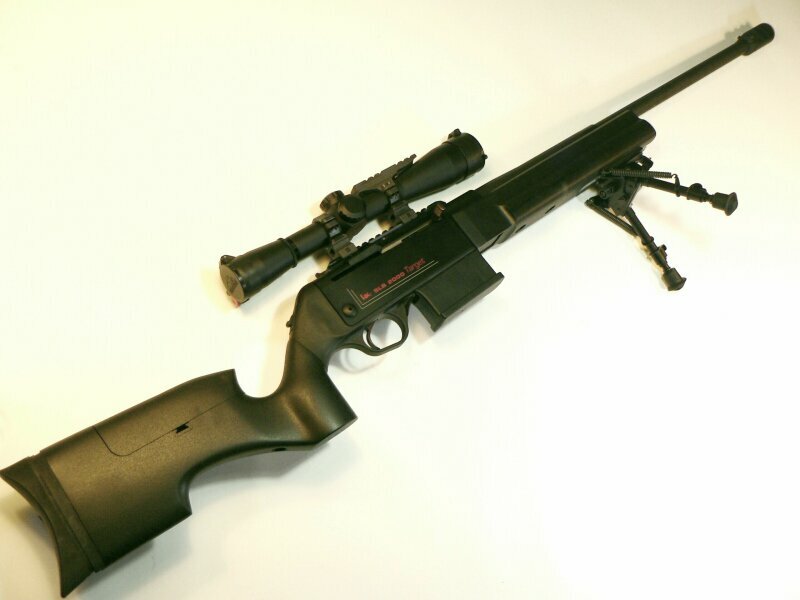 .338 Lapua Magnum Magnum. 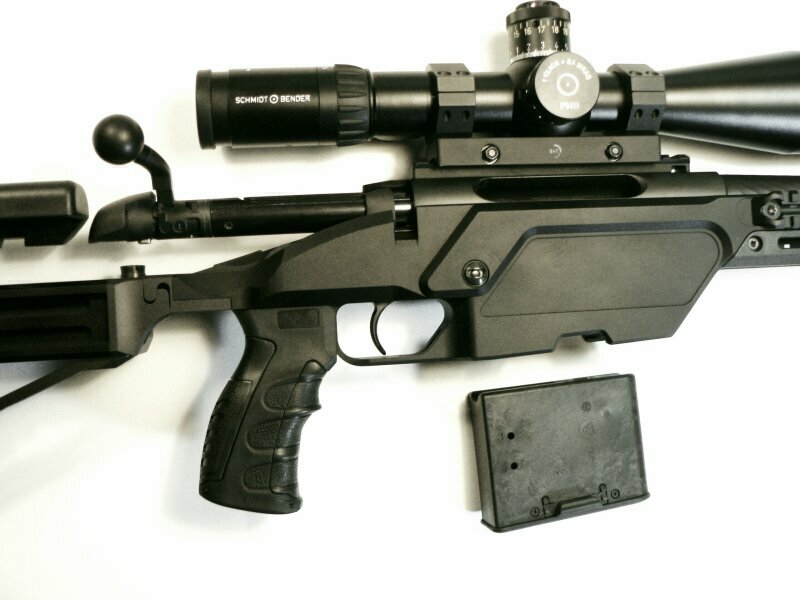 Steyr SSG 08, .300 Win.Mag. Super Target grade barrels, specially made for Steyr SSG08 rifles (Cr-Mo type)are cold hammer forged. The sturdy bolt with strong locking lugs feeds the ammo unfailingly from the centerline of a detachable, 8 rounds double staggered magazine. twist rate: one in 11"
magazine capacity: 8 rounds cal. .300 Winchester Magnum.